Among the countless stereotypes about young people is the belief that they manage money poorly. Indeed, studies find that most twentysomethings fail at answering basic questions about stocks, mutual funds, and interest rates, and fewer than 40% of workers in their 20s participate in employer retirement plans. But evidence also shows young adults behave wisely—when given the opportunity. For example, if you look at only those millennials who are eligible for 401(k)s, the proportion of participants rises to 70%. And among those who are saving for retirement, twice as many millennials as boomers are increasing the percent of income going to their 401(k) each year. Making these stereotype-defying smart moves early in life can pay big long-term: Think millions. And those in their third decade still have plenty of time to learn basic principles that will lead to a happier, healthier financial life. 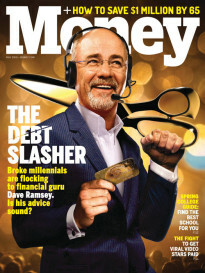 So, if you haven’t yet, check out MONEY’s list of financial rules to learn before you turn 20. 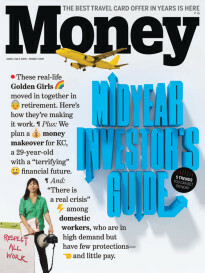 Then read on for 10 things to know about money by age 30—and beyond. Fewer than 2 in 5 millennials negotiate their first salary. That’s a shame, since 80% of those who ask for a bump actually get some—if not all—of the money they request. Plus, 76% of hiring managers say candidates who negotiate appear more confident for doing so. In addition to making you look good, asking for higher wages early on can make a huge difference in your lifetime earnings: Even just a 5% raise at age 22 can net you almost $200,000 in extra wealth by retirement. Always do your homework. You’re more likely to get the salary boost you want if you come prepared with a specific figure or range that shows you are informed about what’s most appropriate for the position. And being similarly detail-oriented pays off during other financial negotiations, such as when you want to bargain down cable bills or even medical expenses. Only half of millennials have ever checked their credit by ordering one of the three free credit reports everyone is guaranteed each year. And their average score? A measly 625. That’s a problem, because credit scores are very important: Having a good score allows you to qualify for lower-interest loans, which means when you take out a mortgage, for example, you may end up saving literally tens of thousands of dollars. Even if you aren’t a homeowner, a higher credit score means you will qualify for better car loan rates, insurance premiums, and credit card rewards. Looking for other ways to boost your score? Keep open old credit cards you no longer use (assuming they are paid off and don’t come with an annual fee). And, of course, always pay your credit card bill on time. A recent study found that only 1 in 3 millennials has enough money saved for a single emergency room visit or car repair—forget about covering rent and food in case of a job loss. If you leave yourself with no cushion, just one unexpected expense can send you into debt that might end up following you around for years and even impact your relationships. So while your 20s might be a great time to invest in your skills and experiences with travel, grad school, and other worthwhile expenses, it’s imperative that you sock away enough cash for worst-case-scenarios. How much? Experts suggest making sure you save enough money to cover between three and six months‘ worth of living expenses. Even if you know—in theory—that you’re lucky to work for a company that offers retirement benefits, you may feel overwhelmed and turned off by the pages and pages of fund information from your plan provider. You wouldn’t be alone, as more than half of Americans are confused and stressed about their 401(k)s.
Just remember three basic principles: Maximize contributions, minimize fees, and diversify investments. Contributing as much as you can, ideally around 10 to 15% of income annually, will set you on the best possible path to retirement. If you can’t afford to put away that much, at least make sure you are saving the minimum amount that will qualify you for a full match, assuming your employer offers one, otherwise you’re leaving free money on the table. Also watch out for fees, which can eat away at your savings, potentially to the tune of hundreds of thousands of dollars. Try to choose funds that charge expense ratios of less than 0.5%, especially low-cost indexes costing only a fraction of that. Many of those same index funds may come bundled up in what’s called a target-date fund, which contains a mix of stocks and bonds appropriate for your age. Just check that the fees are low and the fund is diversified both in terms of geography and the size of companies in which it invests. Bonus tip: Do not think of your 401(k) as an emergency fund. Thanks to hefty taxes and a 10% penalty, a seemingly minor cash-out could easily cost you four times as much in forgone savings. Two out of every 5 millennials has credit card debt. And a similar proportion has student debt in addition or instead. Student debt can be manageable if you start tackling it soon after graduation: Once you start working, there are programs that can help reduce your burden, both in terms of monthly payments and—if you work in a qualifying field—in terms of the overall balance. Credit card debt, on the other hand, may feel particularly inescapable. If you struggle to pay even the minimum each month, it can be especially discouraging to watch the interest you owe grow and grow. One short-term fix: Consider a transfer of your highest-interest balance to a card with a lower rate. Check out MONEY’s list of best credit cards, including the best low-APR cards for those carrying a balance. Then take a page from the behavioral finance book and focus on tackling small balances first. The so-called “snowball” method works because the small victories of paying off lower-balance debts first help to motivate you to keep going. You might think you can put off learning tax strategy until you’re older and your income is higher. But there are important tax perks that twentysomethings can start taking advantage of right out of school. One big one can help you offset your debt: You can deduct up to $2,500 in student loan interest to reduce your taxable income, even if you aren’t itemizing other deductions. You can also deduct your moving expenses if you have to relocate for a new job—as long as you move more than 50 miles for the position. Finally, if you earn $30,000 or less, you can actually earn a credit of up to $1,000 for the first $2,000 you contribute to a retirement account each year. You may have heard that investing in real estate can earn high returns. But remember that there’s a big difference between investing in the real estate sector, say by purchasing an investment property that you rent out for a profit, and buying a home to live in. A well-maintained home in a desirable neighborhood certainly can increase in value. But transaction costs will likely counteract any gains if you don’t live in the home for at least 5 years. Plus, most homes won’t actually appreciate quickly enough to beat inflation by more than a modest amount—if that. So unless you plan to rent out part of your house to generate income, don’t assume your home is going to be a killer investment, even if it is a very nice place to live. Fun fact: The average cost of a wedding in the United States is more than $26,000. Less fun fact: A recent study found that couples whose weddings cost more than $20,000 were 1.6 times as likely to divorce than couples who spent between $5,000 and $10,000—and those spending $1,000 or less had a lower-than-average divorce rate. The researchers did not study the underlying cause of the findings, though they floated the possibility that lower expenses led to less marital strife. Either way, if you’ve got a wedding in your future, you now have at least one compelling reason to control costs. To cut wedding spending, consider three easy money-saving hacks: choosing a relatively inexpensive public or city-owned venue, asking for cash gifts to a site like Honeyfund instead of traditional registry gifts, and inviting talented friends to pitch in on food prep and decorations. The cost of raising a child to adulthood is a staggering quarter of a million dollars, according to one recent measure. And that doesn’t even include the costs of pregnancy and college. Waiting to start a family until you are in your 30s can help a little, since your salary will likely be higher and you will have (hopefully) already gotten a head start on retirement savings. Higher income also means you can afford to put away more for college each year. That said, there are also financial upsides to having kids before 30, including greater tax relief and more future empty-nest years during which you can power-save before retirement. No matter when you decide to have children (assuming you choose to at all) it’s never too early to start learning about 529 plans and other alternative savings vehicles you can use to save for college—which is looking to cost more than $100,000 in 18 years. Social media might be great for keeping in touch with friends, but it enables a voyeurism that makes people compare themselves with their peers. That, in turn, can have negative consequences, like overspending and even depression. The truth is most people project an idealized version of themselves online, and so those possessions, careers, and glamorous-looking lives you may envy are likely less glowing up close than through the filters of Facebook or Instagram. Remember all you’re not seeing: The work frustrations, debt, and personal disappointments people tend to keep to themselves. Instead of comparing yourself to others, focus on your own goals. If you know deep down that you hate your job and are just doing it for the salary or status, start hatching an escape plan: You deserve a career that makes you happy and fulfilled. Finally, know that money for the sake of money can’t buy contentment. Happiness comes from wisely using what you have—to protect against shocks and build joyful memories with the valued people in your life.